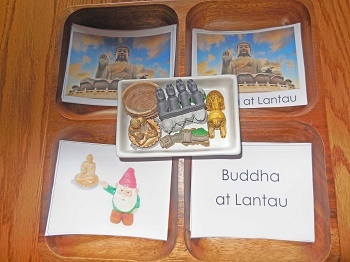 World landmarks are fun for children to learn about. Big words! Places to find on the globe! The globe is always engaging and really there are few opportunities for children to have reason to use them outside of geography studies. I’m sure you have seen travel photos with a gnome. How could you miss them, as it seems they are everywhere. 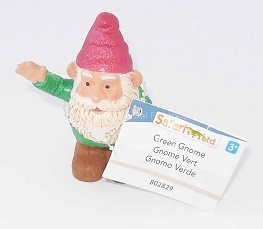 Have you also seen the Green Gnome, Gnorman? 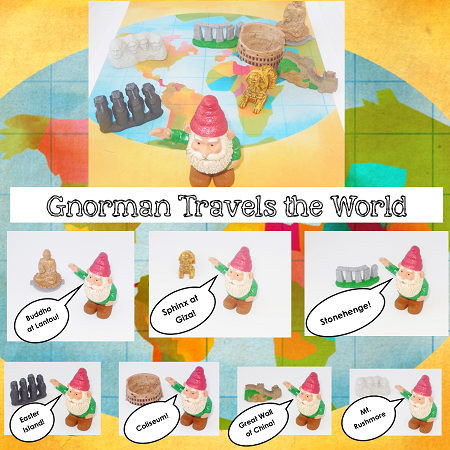 Gnorman has his own official Instagram page and you can find updates about his travels. He is so small it is delightful he could be packed in a suitcase for travel photos. You do not have to drag the actual stone statue garden gnome along in the suitcase. I find him hilarious. The hashtag is #FollowGnorman and he is “roamingnorman” (as in roamin’ Gnorman, a play on words). Roam he does! Just look! 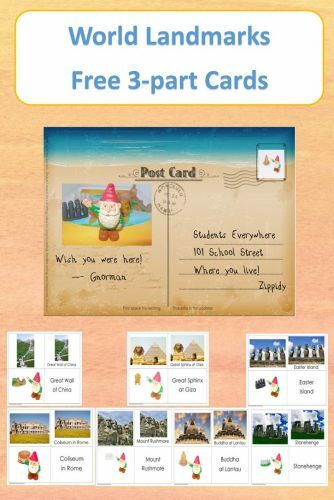 And, maybe you have the Toobs Landmarks set by Safari Ltd. (non-affiliate link) which would be an added bonus for this matching activity. 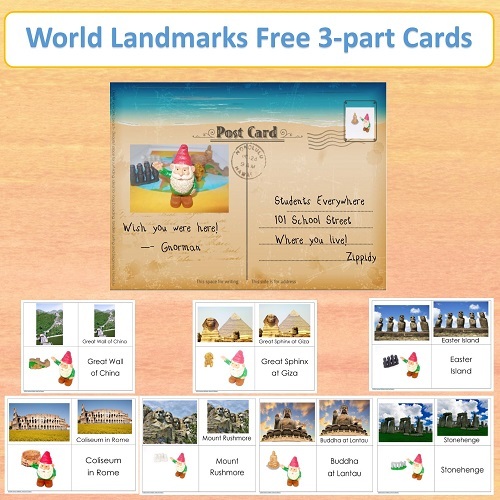 It was too irresistible to not combine the world landmarks Toobs with Gnorman! It was a perfect match! However, the matching cards do not require the realistic miniatures. 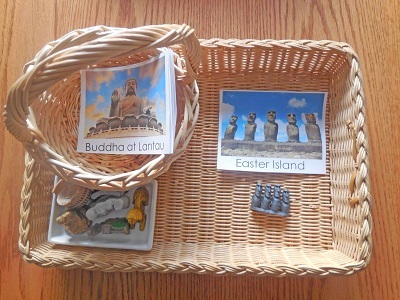 All four cards, two of the cards, three of the cards, or even one card and a globe could be used for learning the names of these famous landmarks: Buddha of Lantau, Coliseum in Rome, Easter Island, Great Wall of China, Stonehenge, Sphinx at Giza, and Mount Rushmore. Below is one possible set up using a tray. Pictures without words, with words, and cards with only words are included. Here is the free printable, and it opens at the next link. What a cute idea! Lovely resources – I’m such a sucker for miniatures/TOOBS/etc. Thanks so much, Elementary Observations! I just love the realistic miniatures, also.